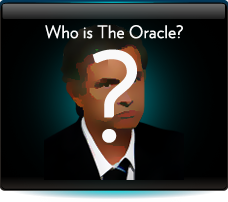 Being currently employed as a soccer consultant for a major betting organisation, The Oracle is understandably a little sensitive about his current employers finding out about his growing reputation as a private advisor. After all, they pay him to win money for them as a bookmaker not line your pockets as a private client. As such his true identity must remain a secret, at least for now. His true name matters little however. What you need to know is that he has many years experience inside the betting industry. This service is most definitely a case of game keeper turned poacher. The Oracle has worked for a number of companies in different environments, ranging from high street shops to compiling positions for both fixed odds and spread betting firms. He continues to work in the industry on a consultancy basis. Welcome to Soccer1way.com, the home of The Oracle. This is a soccer betting membership site concentrating exclusively on soccer and focusing on a number of different leagues, not just in the Europe but across Asia as well. 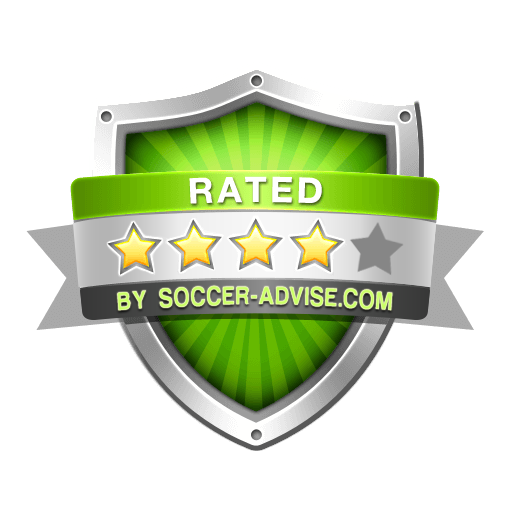 All selections are made by our industry soccer insider "The Oracle". The Oracle in his "day job" is currently employed by one of the Europe's top bookmaking firms as a soccer odds compiler and soccer betting consultant. Very soon you too can be profiting simply by following his easy to follow football betting advice. His recommendations will always be single bets and in asian handicap as anybody can tip Man Utd and Chelsea just to win each week, the skill is in identifying teams who have been underestimated at larger prices. Doubles or Trebles and upwards are just not profitable and they are the bedrock of bookmakers soccer profits. He very rarely tips odds less than value of 1.8 as he is aware a lot of punters bet in relatively small stakes and prefer to maximise their profits by backing larger prices. Soccer betting has become organized. Bookmakers are manipulating odds to confuse punters and bettors are becoming victim of winning strategy of bookies. There is no respite for punters as they can in no way become winners until they have access to inside information. Now punters can get information from betting syndicates. Buy Asian handicap tips that are inside information on soccer betting. Be smarter than your bookie to beat him in the game of betting. It is easy to get Asian handicap tips instead of trying breaking the odds. Every tip has hidden information that is the secret to win bets. We know how the bookies are making odds and we also know how to break the odds. Our close association with betting syndicates and our long association with football game help us in making tips. We can see the unseen. We can see who will win the match and also we know the reasons for a specific team winning a specific match. We provide tips only when we are certain of success of the tips. It is only an experienced betting consultant that can give the best football betting advice to punters. The consultant knows how bookmakers make odds and also the consultant can get information on fix bets. It becomes easy to break odds when all the information is available and the information is authentic. We have consultants and sources that give us inside information. We know which team will win and also we know why. When we are certain that our tips are accurate, we make tips public for punters to buy. It is easy to buy tips. Punters only need expressing their interest in our tips and placing their belief on our strength to get accurate tips. We need your personal details to provide tips. And also we need our fee. It is a service and not free help. We want you to make money but first we want you to make some investment. Buy the best football betting advice. Make this investment and get unbelievable results from tips. You will win bets after bets with the help of tips.